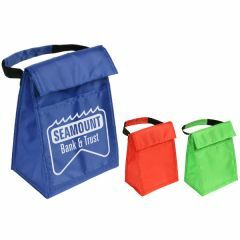 You've found the perfect lunch sack...and it's USA made! 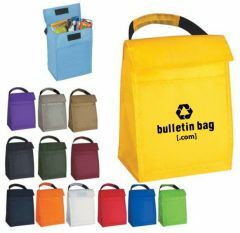 Made from nylon vinyl, this insulated lunch features a simple roll-down, hook and loop closure. 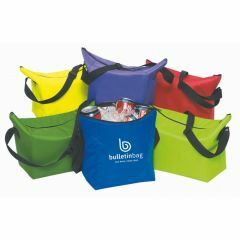 The bright colors will make anyone smile on even the most dreary day, and your logo will remind them where the pick-me-up came from! Full bleed printing is available on this bag (see Order Details tab for pricing).